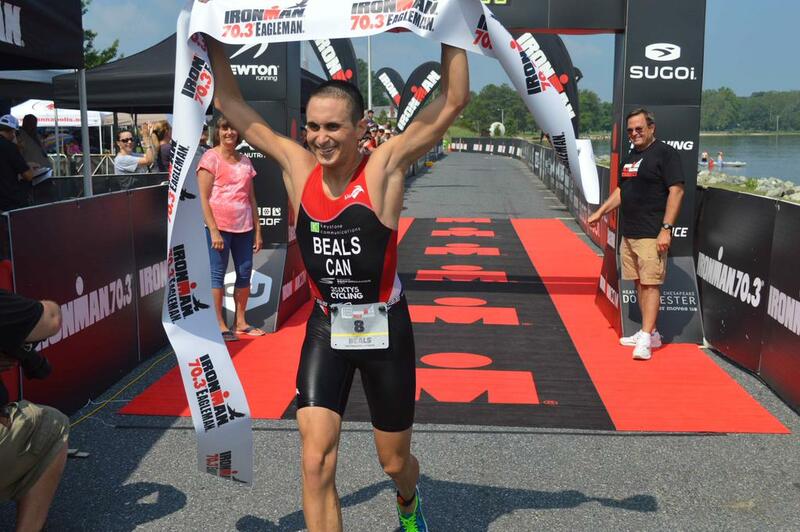 Two decades since my introduction to endurance sports, nine years since my first triathlon, and fourteen months since my pro debut, I claimed my first major win at Ironman 70.3 Eagleman! My fitness was at an all-time high leading into Eagleman. I could describe the training that went into this win—my best and most consistent so far. However, it was a subtler, less quantifiable and more challenging form of progress over the past few months that really set the stage for this performance. That’s where I’ll start this story before moving on to my race day experience. In January and April of this year, I had the opportunity to train first with Matt Hanson and then Joe Skipper in The Woodlands, Texas. 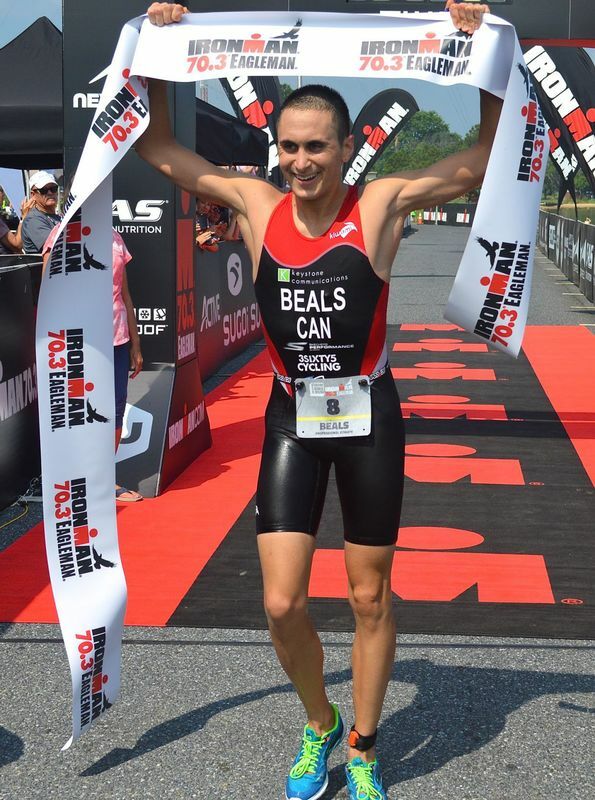 It was inspiring to watch them have breakthrough performances at the Ironman North American Championship in May, where they took first and second against a stacked field, surprising almost everyone. There’s no doubt that my friends Matt and Joe are both extremely talented athletes. However, having had a glimpse of the attitude and work that led to their breakthroughs, I began to appreciate that their excellence stemmed not from some special x-factor, but from their deliberate, day in, day out work ethic, levelheadedness and quiet hunger. Matt and Joe are Champion material, but they are also relatable. They have good and bad workouts, great and not-so-great races, confidence and doubts. In short, they are human, but with winning qualities that I was inspired to emulate. 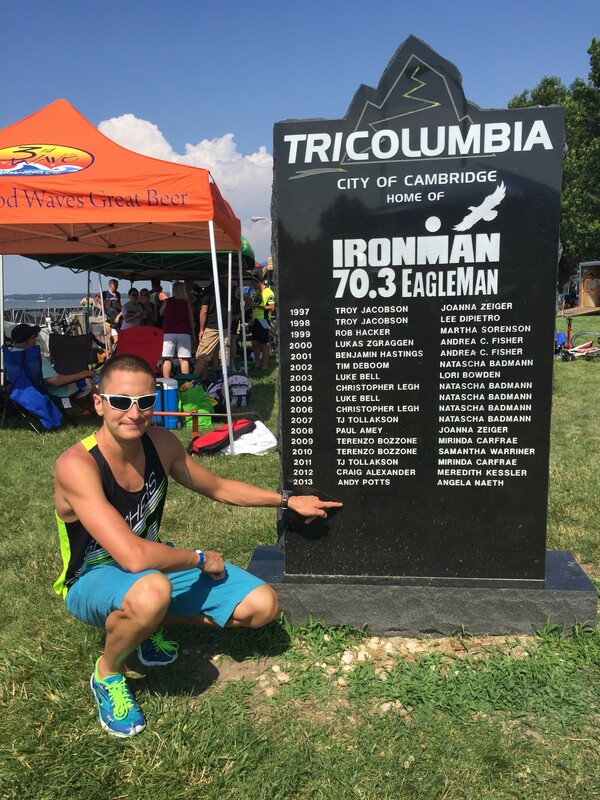 They helped me dismantle the mythological ideal of a Champion pro triathlete that I had constructed and replace it with a more concrete and attainable objective. Another issue that I had to address was my self-confidence and sense of belonging. I’ve written about feeling like a little kid among pro triathletes who have many times my experience and achievements. That’s hardly a winning mentality. The following email exchange with my swim coach Tim Floyd sums up the shift in my thinking leading into this race. Cody: I used to avoid checking start lists, mostly because I found it intimidating. I now realize that that opened the door for tactical errors, plus it indicated psychological weakness. If I’m ever going to win, I need to look at the start list and honestly believe that I can beat every single athlete on it. You like me to target a specific placing. I’ll be disappointed if I don’t win! Tim: I do like you to target specifics. It’s important. But you still aren’t there yet and you don’t want to give up your conditionals. When you say you are going to win, there are no ifs in the sentence. But by race morning, I was ready to look in the mirror and say it out loud. After that, the race itself almost felt like going through the motions. Psychologically, I’d already done the heavy lifting. I lined up with Barrett Brandon and TJ Tollakson, the strongest swimmers in the field. At the gun, I couldn’t match their acceleration and they broke away. Developing more top end speed for the swim start remains my #1 priority in the water. I set aside my disappointment and set a comfortable, efficient tempo. I led the front pack with Jordan Rapp, Thomas Gerlach and Raymond Botelho until I surged and opened a small gap. I exited the water feeling very collected, limiting my loses to 2 minutes to Barrett and 1 minute to TJ. Side note: I often explain to people that triathlon swim times are almost meaningless. Course accuracy and conditions vary a lot. For example, I swam 20:21 at New Orleans 70.3 and 28:08 at Eagleman 70.3. Judging by my time and others’, the NOLA course was obviously short while the Eagleman course was long. Percentile rank and time gap to the swim leader are more useful metrics. Debriefing with my coach David Tilbury-Davis after New Orleans 70.3 (4th) and Texas 70.3 (3rd), we decided that I didn’t quite perform at my potential at those races. After a fantastic winter build, I came down with an illness a couple weeks before NOLA and I was timid on the bike, riding strategically well below target power. 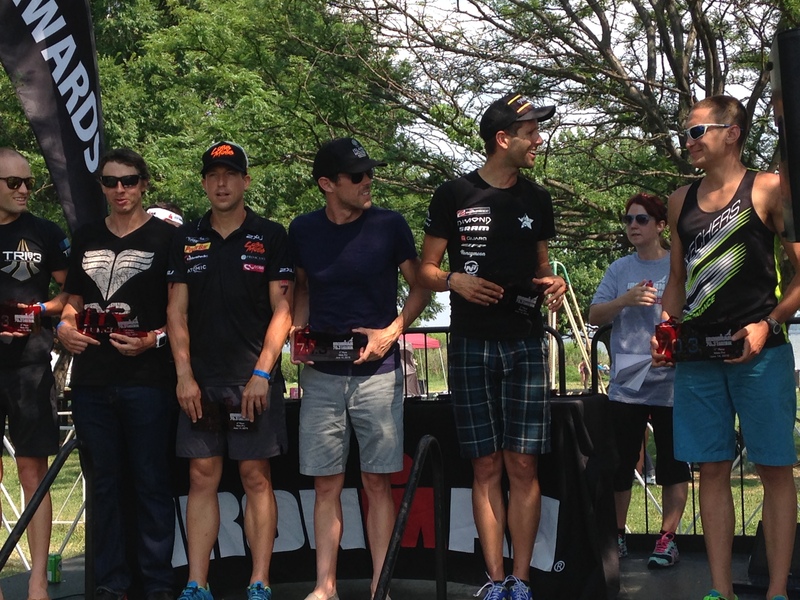 My game plan for Eagleman was to dominate the flat and fast bike course. I put my head between my elbows and went to work reeling in the leaders. I learned from past mistakes, passing Barrett and TJ with high octane surges to discourage their company. A series of very challenging CompuTrainer workouts prepared me well for these tactical efforts. I averaged 20-25 watts more than NOLA and Texas, edging under Andrew Starykowicz’s course record and opening a nearly 3 minute lead. 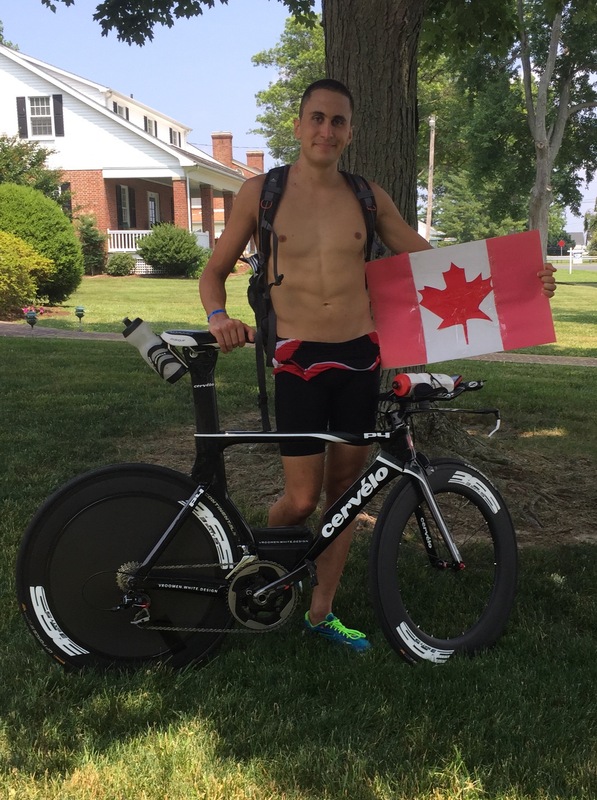 Eagleman is a notoriously hot race and it didn’t disappoint with temperatures soaring above 30°C, exacerbated by the humidity. I came prepared, thanks to a brutal heat acclimation protocol concocted by my mad scientist coach David. I pushed the pace to the turnaround, where I saw that my lead had grown to over a mile. Even with that buffer, the return leg on the baking hot, nearly shadeless course was no walk in the park. It wasn’t until the final mile that my grimace became a grin. Breaking the tape was a high that is hard to describe. My coach David Tilbury-Davis (PhysFarm) and swim coach Tim Floyd (Magnolia Masters). My sponsors: Keystone Communications and Giles Atkinson, Skechers Canada, 3SIXTY5 Cycling, CompuTrainer, Nineteen Wetsuits, Klean Athlete and Vorgee Canada. My homestay hosts, Evan and Stephanie, who made me feel right at home. All of you for the outpouring of support I’ve received! Homemade Canadian flag courtesy of my homestay. I rode a 3SIXTY5 FAT 88 wheelset ($50 off – ‘cody-2015’) with a Catalyst wheel cover (10% off – ‘CODY2015’).